Headquartered in Knoxville, TN, Dirty Bird Events offers a full spectrum of comprehensive race management and consulting services, catering to the running and multi-sport communities. 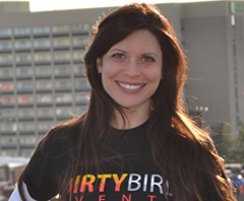 Dirty Bird Events focuses on providing memorable race experiences for everyone from the recreational to elite athlete. Ryan is an avid triathlete and runner. 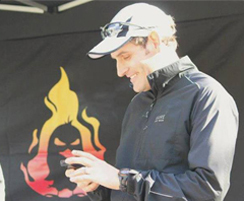 He has competed in many long distance events across the country and continues logging his swim, bike, and run miles. Over the years, he has served as a race organizer, development director, and cross country and track coach. His passion for competition and endurance sports is evident, whether he is racing or putting on events for others to enjoy. Ani is somewhat new to world of endurance sports. After starting off with 5k road races, she has moved towards multi-sport and trail running events. She is a dedicated health educator in East Tennessee and continues to teach adolescents the importance of maintaining a balanced lifestyle. Sign up for the latest news and promotions from DBE.